So it should come as no surprise than German Chancellor Angela Merkel is now outright telling European states — and all the countries in the world — that they “must today be ready to give up [their] sovereignty” as independent nation-states. Last month, Merkel announced she was stepping down as leader of her party but not as Chancellor of Germany. 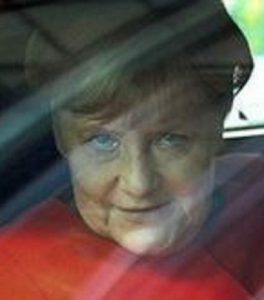 Merkel’s 13-year premiership has been noted for her open-door policy toward Muslim “migrants” and “refugees,” which has led to much social chaos and unrest, as well as demographic changes so drastic that Germany will be a white-minority country in one generation.